12 March 2018 – As the pace of innovation continues to accelerate, Internal Auditors face the growing challenge of helping their organisations ensure effective processes and controls while still helping to drive growth for their businesses. A new study from PwC – ‘Moving at the speed of innovation: The foundational tools and talents of technology-enabled Internal Audit’ – reveals that more advanced Internal Audit functions are creating departments with a cohesive technology and talent strategy. Surveying more than 2,500 board members, senior executives and audit professionals across 92 countries, PwC's State of the Internal Audit Profession report shows that 75% of Internal Audit teams who have a strong technology- and talent- enabled strategy in place are contributing significant value to their organisations, compared to only 34% of teams which are lacking in an advanced technology strategy and skill sets. Technology advancements are evolving quickly, and organisations are developing tomorrow’s innovations faster than ever before. However, these tools present new risks and leading Internal Audit functions must provide a unique perspective around them early in the technology innovation cycle. The most successful Internal Audit organisations are not only prepared to help mitigate the risk of these advanced technologies, but are leveraging the very same tools to execute their work in a more effective manner. According to PwC’s survey, only 14% of Internal Audit functions are advanced in their technology adoption (known as ‘Evolvers’). Surprisingly, Evolvers are not just found in large organisations or in regulated industries. They span industries, company sizes and geographies, suggesting that organisations can overcome stereotypical technology barriers of budget and size. While Evolvers are a small group, they set the example: nearly half (46%) of Internal Audit functions are following Evolvers’ technology adoption, but at a slower pace (‘Followers’). The remaining 37% of Internal Audit functions lag in technology adoption and are considered ‘Observers’. They move technology and talent in lockstep. Evolvers are advanced in their technology use and far outperform their peers on talent: 72% of Evolvers excel at obtaining, training and sourcing the talent they need compared to 46% of Followers and 29% of Observers. They build a deliberate strategy. 85% of Evolvers focus on technology enablement as part of their strategic plan, compared to 61% of Followers and 38% of Observers. They leverage technology-enabled collaboration tools. Internal Audit functions that are advanced in their use of collaboration tools stand out from their peers in managing stakeholder relationships and cost efficiencies. They are self-service in data extraction. More than 80% of Evolvers are self-sufficient in their data extraction. They use tools and skill sets for enhanced productivity. From advancing data analytics and monitoring, to leaning into intelligent automation, Evolvers are more often investing in technology risks and tools training than their peers. In order to keep pace with their organisation’s innovation agenda, Internal Audit needs a strong technology and talent strategy to push the boundaries of their own innovation. Internal Audit could have the best innovation plan, but won’t be able to execute without the right reinforcements. The combination of technology and talent is the key to accelerating progress. 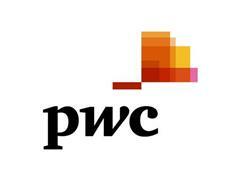 PwC understands that significant risk is rarely confined to discrete areas within an organisation. Rather, most significant risks have a wide-ranging impact across the organisation. As a result, PwC’s Risk Assurance practice has developed a holistic approach to risk that helps to protect businesses, facilitate strategic decision making and enhance efficiency. This approach is complemented by the extensive risk and controls technical knowledge and sector-specific experience of its Risk Assurance professionals. The end result is a risk solution tailored to the unique needs of the organisation.